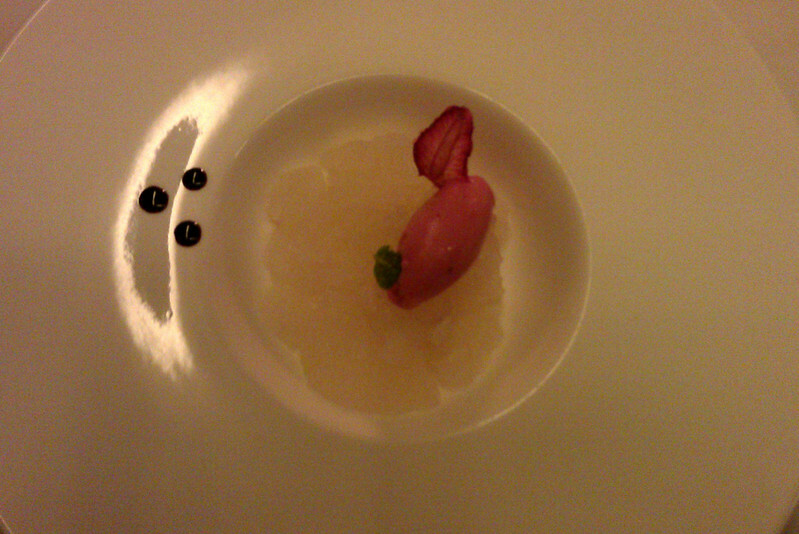 This meal was courtesy of a Deal Grocer deal: “Sensational 8-Course Degustation Dinner with Foie Gras.” Photos taken with a camera phone! Light and delicate, a good start to the meal. I honestly don’t remember much from this dish. Overall a good dish. 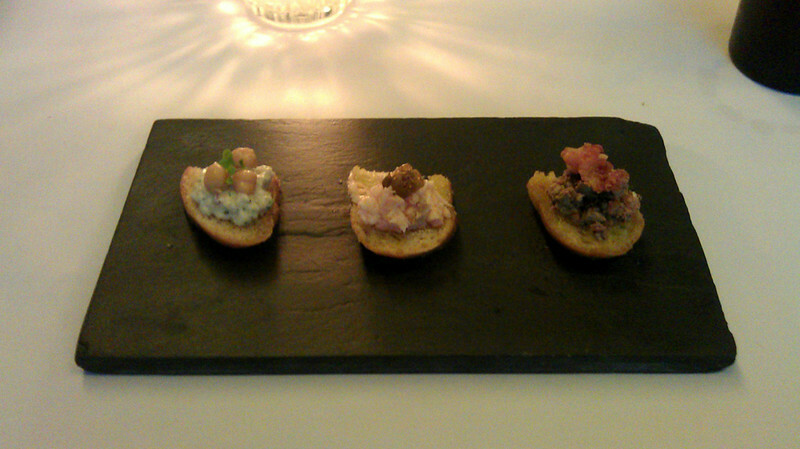 I love a good chicken liver bruschetta, I vividly recall the best one I have ever had, from Il Latini in Florence. The Goose Station’s version comes close, I wish this serving was bigger because it’s one of my favorites. 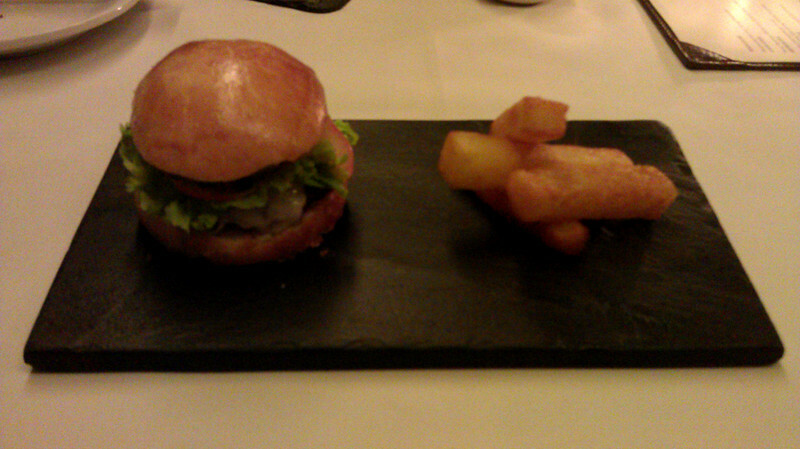 For me, the best dish from this degustation is a slow-cooked egg with lardons and chips. 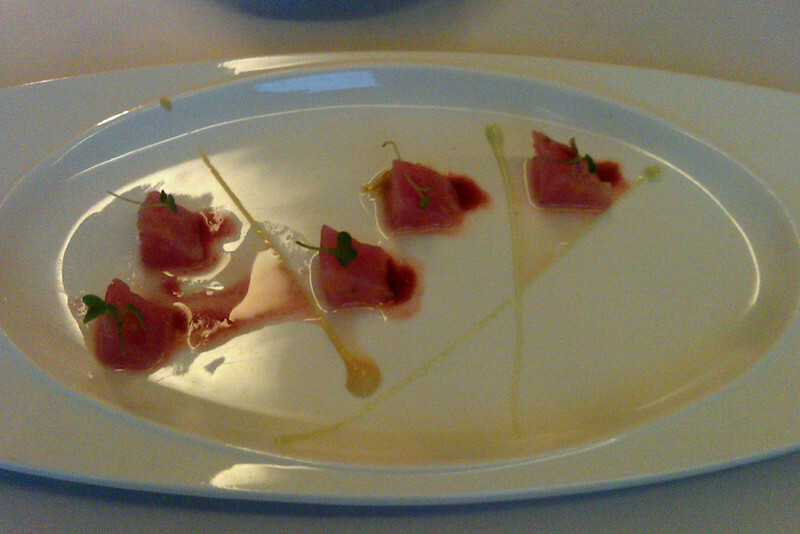 It is beautifully plated, too. Scallops were well cooked with a nice sear. 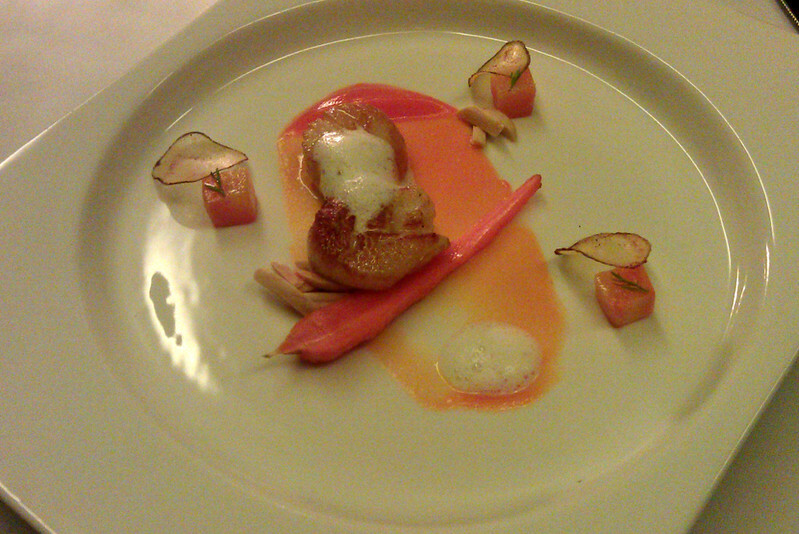 Carrot brunoise and carrot puree and half of a baby carrot… make no mistake this is indeed a scallops and carrot dish! 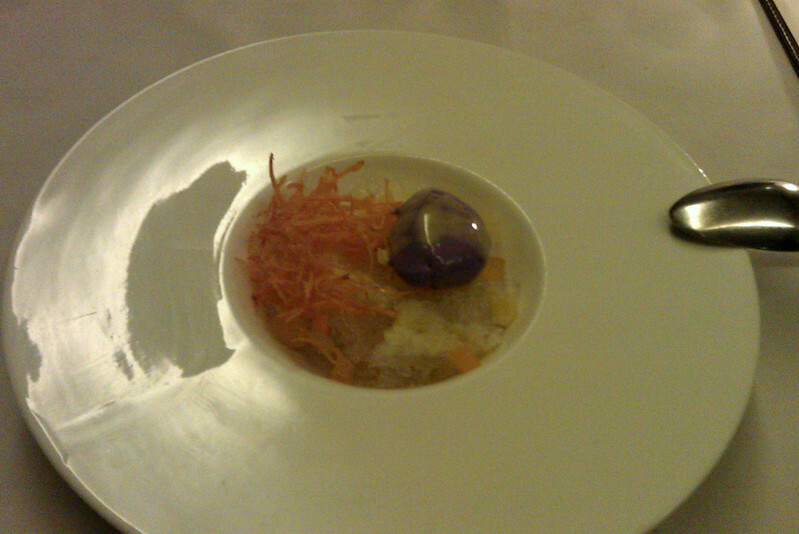 The carrot flavor to me, did not elevate the scallops– I wonder, why this combination? 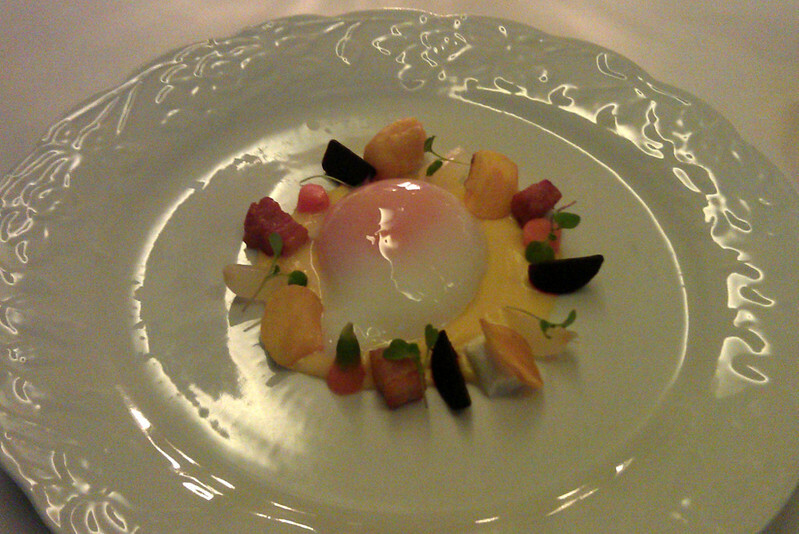 Had to plug my nose to finish this dish, foie gras tastes very good but not in this preparation. It had a, for a lack of a better word, malansa quality. Not to say it’s fishy, but it had an unpleasant smell and aftertaste. A nice reinterpretation of the beloved Filipino desert. Overall, a hit and miss. 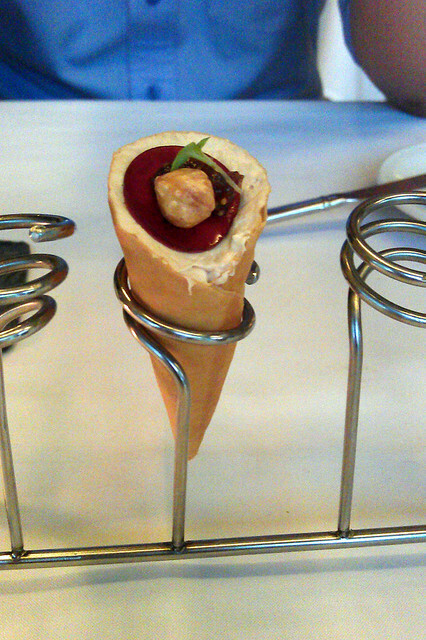 The selling point of this degustation was the foie gras. 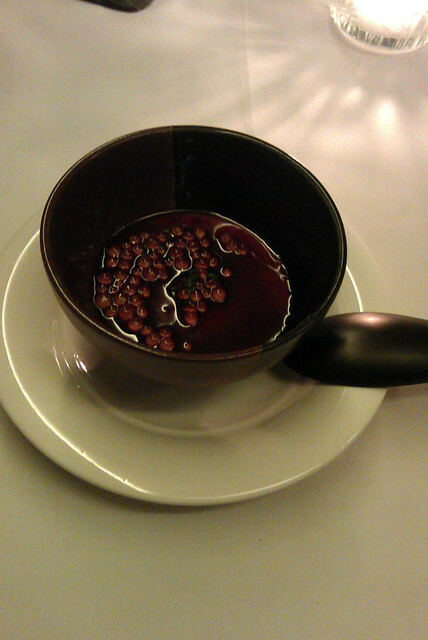 It was not the real deal however – they were delivered in a mousse and chawan mushi preparation. The progression didn’t make much sense; this Deal Grocer set felt a bit like a throwaway menu, solely for the purpose of luring diners who normally can’t afford to pay full price. (Oui, c’est moi!) I felt the service was a bit awkward, like we were not really welcome; that would probably be because we did not get a cheerful server. I think I am bound to have a better meal if I ordered from the regular menu.